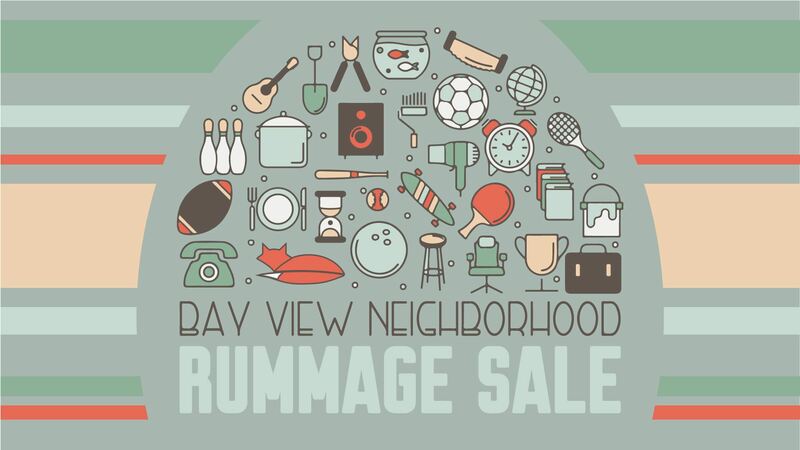 Come spend a day alongside the many households participating in the 2019 Bay View Rummage Sale. The BVNA collects registration for participating addresses and creates a community map, connecting avid bargain-hunters with area sellers. Saturday, May 18 | between 8:00 a.m. - 3:00 p.m.
To register as a Rummage Sale participant, please click here: 2019 BVNA Rummage Sale Registration. Bay View Neighborhood Association members have been cleaning out their basements and attics preparing to re-home hundreds of items. Bargain hunters can find furniture, clothing, art, art supplies, sporting goods, memorabilia, collectibles, tools, antiques, sidewalk sales.